In January "Vice Miss Hamburg 2012" Lenea Martens visited me for a shooting themed "Mademoiselle Parfum". It was the first time I had the chance to use a Sony NEX-7 (for the 2D stills) and the last 3D shooting with my pair of Panasonic GH2. Now prepare your red/cyan filterglasses and enjoy. Copyright 2011 3D-Kraft.com, all rights reserved. For the 3D version please click here. After we already saw some reviews of the pre-production SLR Magic HyperPrime 12mm / F1.6 labeled under the "NOKTOR" brand and carrying a yellow/green ring, now I had the chance to test the "black ring" version that will go into production under the "SLR Magic" label. It will be available in December 2011 in the U.S.A. for a retail price of $499 US$. 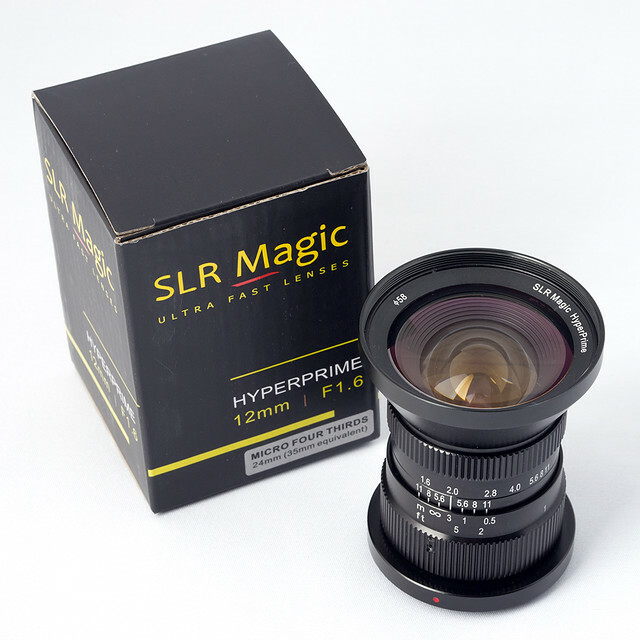 You might already have seen SLR Magic "Toy Lenses" with a colorful plastic look and quite blurry at open aperture. Now make yourself ready for a lens of a completely different standard! It is very solid and well made, feeling like those premium compositions of metal and glass from Voigtlaender and Leica. It is operated completely manually and this is already one of the main differences to it's m4/3 competitor, the Olympus M.Zuiko 12mm/F2.0. The focus and aperture rings move very smooth allowing to adjust the focus very precisely. The diaphragm has 12 blades that can be closed stepless allowing to render round out-of-focus circles of confusion even stopped down to F2.0 or F2.8. The minimum distance is 0.15 m allowing macros with nice DOF effects as well. The lens comes with a metal front cap that is screwed into the filter thread. Comparing sizes with the Olympus M.Zuiko 9-18mm ultra wide angle zoom (left) and the Olympus M.Zuiko 45/1.8 (right, which is nearly equal in size to the M.Zuiko 12/2.0). So what makes this lens different to the Olympus M.Zuiko 12/2.0? First of all it has no autofocus - but to be honest: I do not miss that very much at this lens as with wide angle lenses of this type you have a DOF from approx 3m to infinite even at open aperture when focused at about 7m. If it comes to macro distances, autofocus again will not help so much as manual focusing will give you much more control over the scenery. Thanks to model Mariam and make-up artist Kerstin! 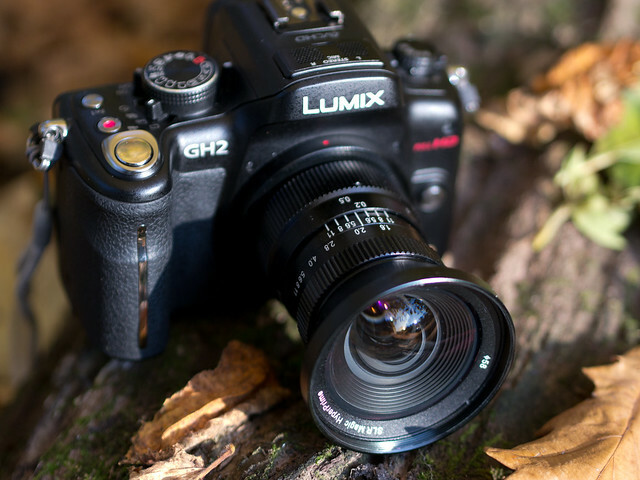 Now as the new nano surface coated Leica DG Summilux 25mm F1.4 ASPH Micro FourThirds lens also reached German retail stores, I was curious to see what you win with that lens compared to the 14-42mm kit zoom beside the obvious gain in light sensivity of about 3.5 f-stops. The following photos are taken at F5.6. All pictures are focused by auto-fokus (AF) which works fast and reliable with both lenses. On the first glance there is not much of a difference - perhaps you may recognize a slightly bit more vignetting of the kit zoom even at F5.6 compared to the Leica DG Summilux. Finest Ballet and Latin Dance (Cuban Salsa and Reggaeton) in 3D performed by Regina (stills for "warming up" the 3D perception), Zaimy and Michel. Latin Dance performed by "L@s Chéveres" (www.el-chevere.de). Click here to see a 2D version of that video. To enjoy this 3D video without the need of 3D glasses, you can open it on the new generation of 3D smartphones like the LG Optimus 3D and the HTC Evo 3D. We are sure that further autostereoscopic devices will follow. In order to gain highest playback quality you can download the 3D BluRay ISO image here, if you have a BluRay disk writer / player and a 3D TV. The exceptional picture composing options of bright prime lenses make them desireble especially for the MicroFourThirds camera system. 3D-Kraft demonstrates how a bright standard lens transforms into a fantastic portrait focal length and compares the qualities of the Leica Noctilux-M 1:0.95 / 50mm with its predecessor, the Noctilux-M 1:1.0 / 50mm. The recent success story of the mirror-less, and thus relatively compact Micro Four Thirds (mFT) camera system was pushed forward also by the fact that quite quickly the usual focal lengths from wide angle to telephoto were covered with compact and high quality lenses from Olympus and Panasonic. Even attractive ultra wide-angle and super telephoto zoom lenses are available meanwhile. However bright prime lenses lacked for a long time. 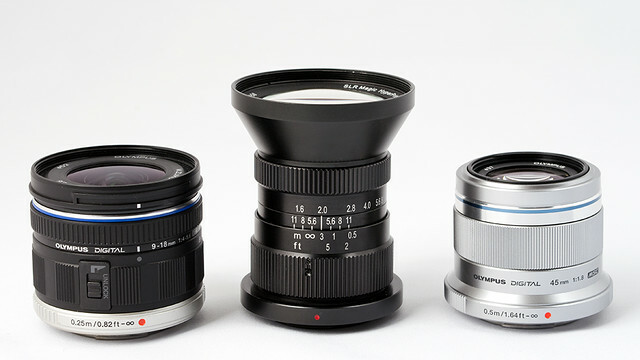 The enormous demand for the - mostly sold - Voigtänder Nokton 25mm/0.95 shows the strong desire for such primes. 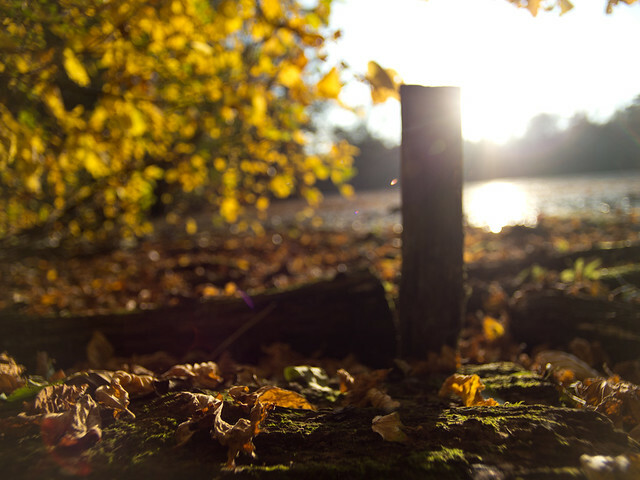 It's not just the high gain at low light, that many users require, but also the associated shallow depth of field (DOF) available for attractive image compositions. Because of the smaller camera sensor (crop factor 2 compared to a "full frame" sensor) the focal length required for a certain viewing angle halves as well but the ratio of focal length and full aperture diameter doubles for a comparably shallow depth of field. 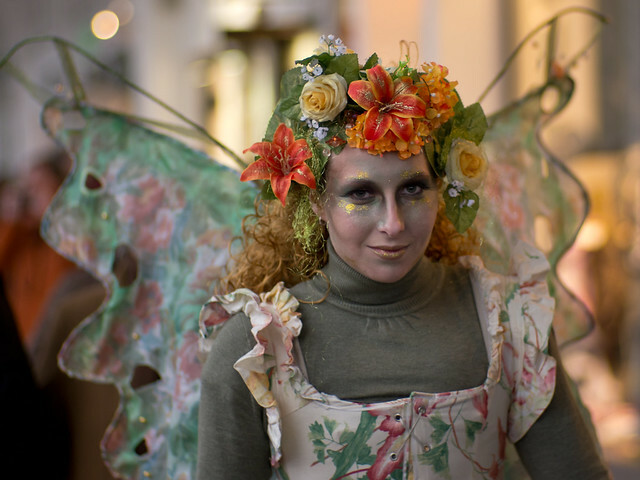 Thus a person to be portrayed in front of a background that should appear with a smooth and creamy bokeh with mFT cameras requires focal lengths of about 35 to 50 mm and an open aperture starting at about f 1.0 to 1.4 which makes these lenses usually much more expensive. 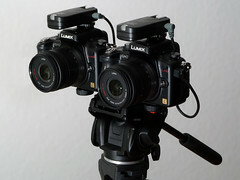 Viewing angle / Crop of a FourThirds sensors compared to a "full frame" 35mm sensor at identical focal length. Fortunately, you are not forced to wait for the offering of such a lens segment in the MFT. 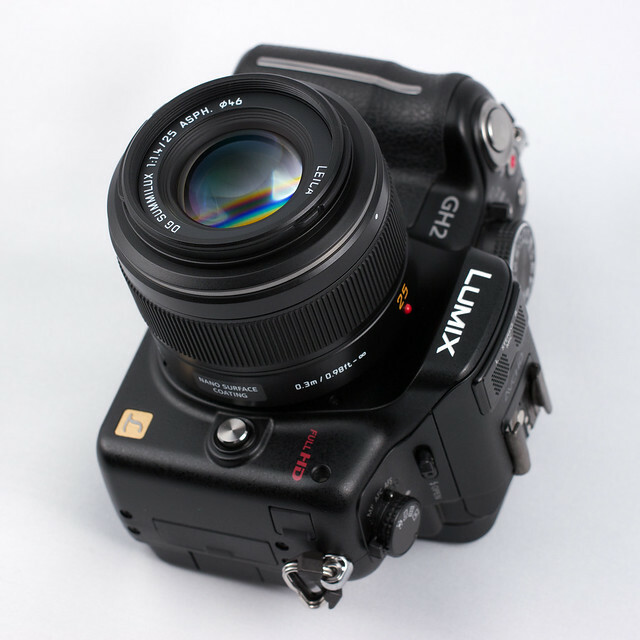 The possibility to adapt almost any other lens system to Micro Four Thirds System cameras because of the mirror-less design was quickly recognized, so there are lots of appropriate adapters available meanwhile. Because of an only slightly different flange back distance of the Leica M system, lenses for cameras with the M-bayonet can also be used in the MFT system and they are - thanks to their high quality - even after many years coveted hunting objects in the second hand market. In general, they have no auto focus or lose this ability with other systems through the most purely mechanical adaptation. With some practice, manual focusing on such specialized lenses will be appreciated soon, because it allows for the sometimes only inches deep depth of field set more precisely than with any automatic. Very useful here are electronic view finders (EVF) that can be easily activated and that allow 5x or 10x magnification. These files can be dsiplayed on the Fuji Real 3D W3 as well if transferred to a SD memory card. More pictures (2D) of "Miss Moskau" can be seen here. Copyright 2011 3D-Kraft.com, all rights reserverd.